LED Colour: Red, Blue, Green, White or Mix colour. 4 Display Mode: (1) Time, (2)Time + Temperature, (3) Time + Day (4) Time + Day + Temperature. Three Level Light Brightness Control (Auto or Manual) and hour chime (on or off). New Firmware with special feature, three alarm and Saturday/Sunday on/off feature, 4 display mode. 12 or 24hour display, C or F Temperature display. 5V Input, USB to 1.35mm connector cable included. Easy installation, less than 40 components with detail installation and configuation menu. 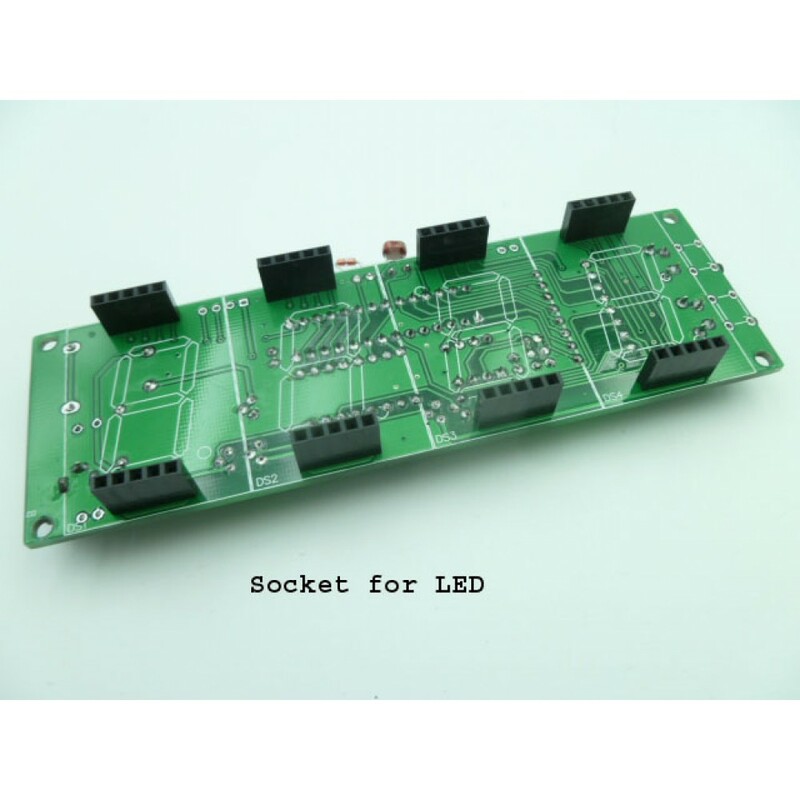 This KIT using socket for LED, buyers can easy troubleshooting and change LED. If out of 5V supply, the clock is keep on running, configuration is saved, no configuration is needed after supply is recovered. 1x 1.2inch 4-digit LED electronic clock kit with usb power cable (please leave message for LED colour).